StarbucksMelody.com – Updated three times a week, very consistently. It has a little bit everything, including test products, coffee tastings and education, giveaways, new store information and more. ExploreStarbucksReserve.com – Updated haphazardly. Pure coffee information. PetsOfStarbucks.com – It’s updated in waves. It really depends on when people send me cute photos of their cats and dogs involved in Starbucks fun. The picture submissions seem to come in waves! I don’t care which of the four (or hopefully you’ll subscribe to more than one) websites you subscribe too. You may only enter once. You must be over the age of eighteen (18), and have an address in the United States. Void where prohibited. If you don’t claim your prize within one week of me posting the winner (I’ll do so as an edit to this article, as well as in the comments) then you forfeit any prize. Any forfeited prize goes back to the blog owner (me). (Most people are really quick to tell me they’ve won, if they did win!). No substitutions available. You must post your comment before there are 200 comments on this blog post – I doubt it will get to be that many, but if there are 200 comments, the contest is closed. 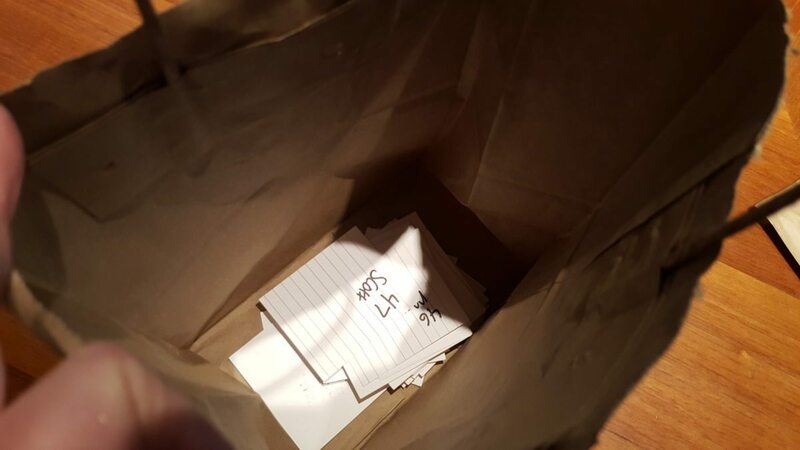 This contest closes at 200 comments or February 1, 2016, at 6:00 PM (PST) whichever comes first. Please use a valid email address when you enter. This is for new email subscribers only. Use the same email to subscribe as to make your blog comment. I’ll be able to see the very most recent subscribers in my subscriber list. I never sell lists, or use them for any purpose other than to keep you up-to-date on the latest Starbucks news. Winner! Thank you Jamie for drawing a winner! New Seasonal Beverages at the Roastery! Seattle's Best Coffee Caramel Drizzle: Kitchen Fun. Fort Sheridan Wyoming Veterans – Would Starbucks Partners Help Out? New: Beginning April 30th: Starbucks to Offer Lemon Cake Pops, Salads, and more! New t-shirts, totes, and more at the Starbucks Coffee Gear store. Hi! I subscribed to TeavanaMelody.com, and I’m looking forward to learning more about what they offer. Thanks! Reply by Melody – Thank you so much for newly subscribing to TeavanaMelody.com – You’re in the giveaway! Thanks! Hey Melody, I read this blog on a regular basis but didn’t subscribe till today. I love it that you like coffee- black coffee! And I still wonder what you did with your 8 day break from the Roastery!! Hi Melody. 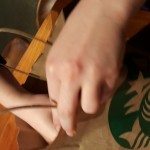 I’ve enjoyed your Starbucksmelody.com blog for the past few years. 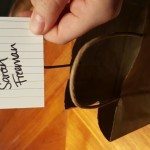 I just subsribed for updates to your teavanamelody.com blog. The layout of that blog is nice and clean. I find your writing style very easy to read and follow. Thank you for all your time and efforts on these blogs. Reply by Melody – Hi Anne – Thank you! You are indeed subscribed to TeavanaMelody.com. You’re in! I am a subscriber to the original site and now to the Pets of Starbucks. Love seeing all the pets enjoy starbucks. Reply by Melody – Thank you Purple1 – I see you on the Pets of Starbucks list! 🙂 You are entered into this giveaway! Thank you – Another valid entry! I see you on the Pets list! I subscribed to the Original Site. Love reading the website! Reply by Melody – thank you Amanda! I see your email address right there on the StarbucksMelody.com list. Thank you and good luck! You’ve entered this giveaway! I just subscribed to the “PetsOfStarbucks”. My Dog Theo frequently comes with me through the Starbucks drive through. I also subscribe to Starbucks Melody. I get more information there then from the Starbucks website! I just subbed to Explore Starbucks Reserve. I’m pretty sure that’s going to end up emptying wallet as I buy great coffee! THANKS! Reply by Melody – I’m so sorry but I just don’t see your email address anywhere! Hi Melody!! Sure would love to have this gift card! 🙂 I’m subscribed to all four blogs!! 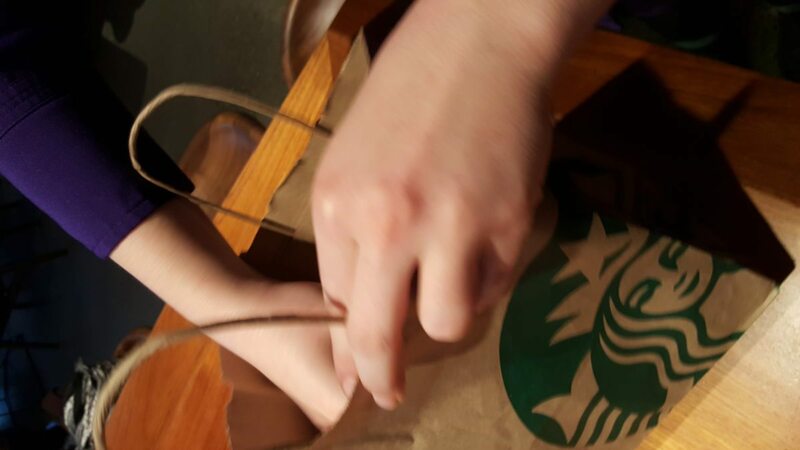 I just subscribed to StarbucksMelody.com…would love to win the giftcard! Reply by Melody – Thank you! You did just subscribe! You’re in! Thanks for the notice about the card giveaway! I am a somewhat new subscriber to “Starbucks Melody.com” and enjoy reading the news and info there. Reply by Melody – I am so sorry but this wasn’t a giveaway where you just told me that you have an existing subscription. Hi Melody! I have been following this blog regularly via bookmark subscription and giving blog love for a long time now..but I didn’t even realize the others existed!! I just subscribed to all four by email. 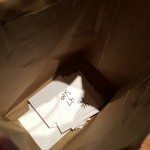 Reply by Melody – I see you just subscribed to TeavanaMelody – I didn’t look at the others since i know you’re right there on the Teavana list. Thank you! Another valid entry! Hi, I’m subscribed to Starbucks melody and soon to be subscribed to the Starbucks reserve one! I am subscribed to the Starbucks Melody blog. Reply by Melody – Hi Kimberly – Thank you for being an existing subscriber. I’m so sorry though – this giveaway wasn’t you just telling me you’re an existing subscriber. Subscribed to the main Blog! Been reading for a long time. Thanks for the giveaway! Thank you! I see you did just subscribe. You’re entered! Reply by Melody – Did you use a different address to subscribe than for this comment? I just don’t see your email address anywhere. Sorry. I am subscribed to Starbucks Melody. Love to hear about all things new about my favorite coffee. Keep up the good work. Reply by Melody – I’m sorry but this wasn’t a giveaway where you just entered by telling me you have an existing subscription. Hi Melody. I just subscribed to the TeavanaMelody. Love this blog and I’m excited to check out your others. Thank you. Reply by Melody – Hi Kayla – I don’t see you subscribed to TeavanaMelody. Maybe you subscribed to one of the other ones? Rachel thank you for reading StarbucksMelody.com! Maybe I just missed it, but I don’t see where you just subscribed? Thanks! I subscribed to Starbucks Melody. Reply by Melody – Did you use a different email address by chance? I just don’t find your email address as recently subscribed to StarbucksMelody since this giveaway started. Reply by Melody – Hi there! I don’t see that you recently subscribed to any one of the 4 blogs in this article? This isn’t actually an entry if you’re just telling me that you already had an existing subscription. Sorry! I just stumbled onto your website looking for more Starbucks info. Thanks for the opportunity to join your community and to explore! Reply by Melody – Thank you M! I see your email address on the StarbucksMelody subscription list. You’re in! I’m subscribed to StarbucksMelody. Love reading about the ins and outs of Starbucks! Thanks for writing. Thank you! I see that you just subscribed to StarbucksMelody! Another valid entry! I just subscribed to Pets of Starbucks; perhaps Bentley and my Petey are cousins! Thank you for subscribing to Petsofstarbucks.com! Another valid entry! I’ve followed Starbucks Melody for awhile now and just subscribed to Pets of Starbucks. Thank you! I see you on the Pets of Starbucks list! Another valid entry! I have always checked in on your blog once in a while because I have come to love Starbucks as much as you do! I really enjoy reading what you have to say about the company and its endeavors so thank you so much for all that you do! Thank you for subscribing to TeavanaMelody! What a generous giveaway! 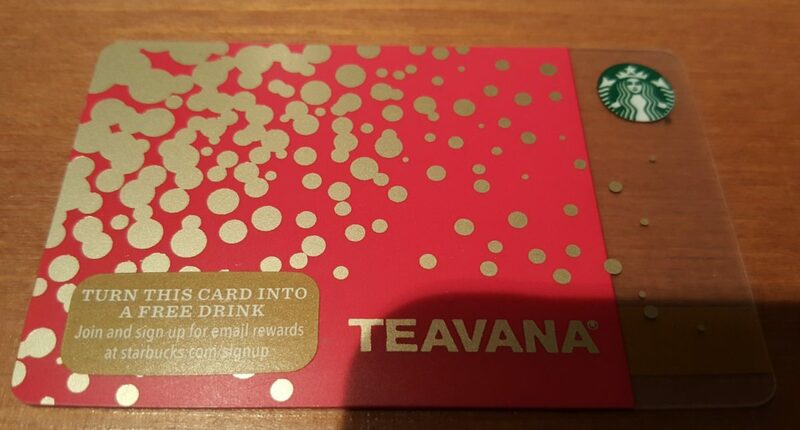 Fellow Washingtonian, and I’d love to try out some of the great drinks you write about on the blog with a gift card =) Subscribed to starbucksmelody.com! I just subscribed to StarbucksMelody.com. Thank you! Reply by Melody – I’m sorry but I just don’t see you subscribed to Starbucksmelody. Did you use a different email address or subscribe to one of the other 3? I subscribed to Explore Starbucks Reserve. I look forward to reading more of what you post. Thank you for subscribing! I see your email address in Explore Starbucks! You’re in! Hi Melody! I just subscribed to Pets of Starbucks. The site is just too adorable! Thank you very much! You did just subscribe to Pets! I subscribed to Starbucksmelody.com, My wife works for Starbucks and follows your blogs, now it’s my turn. Will also be subscribing to petsofstarbucks to see all the animals. Can’t wait to get a chance to visit the Starbucks Roastery in Seattle. Thank you! I see your email as recently subscribed to Pets of Starbucks. Another valid entry! I’m sorry but the Seattle’s Best Coffee fan blog just isn’t part of this. It’s not one of the 4 blogs listed in the giveaway article. Sorry this isn’t an entry. Maybe you’ll like one of the other ones? Reply by Melody – thank you! I see that you’re newly subscribed to StarbucksMelody! You’re in! Maybe you should have double checked your links? Hopefully my entry still counts since it was not my mistake. I subscribed and commented before the deadline but my comment says “Awaiting Moderation”…and my name isn’t on the list? Please advise! @Betty Moreno and @PatriciaShepard – I really don’t see your email addresses on any of the subscription lists, but I will take your word for it. Do you do the teavana one? That’s the easiest one to subscribe to. Which of the 4 should I be looking at to find your recent subscription – it’s possible I missed it. I’ve added you to the entries. Hi Melody! I subscribed to the PetsofStarbucks and ExploreStarbucksReserve and commented, but I didn’t see my name on the list or a comment confirming my subscription. I did receive an email confirmation for PetsofStarbucks. @Serena – I really don’t see you on the PetsofStarbucks list. I do see that you subscribed to the Seattle’s Best website – I had a wrong link in there for a bit. That’s not your fault. You’re in. I’ll add your name. Thank you for pinging me. Melody, I did the Starbuck Melody. Sorry for any confusion, and thank you for including me! 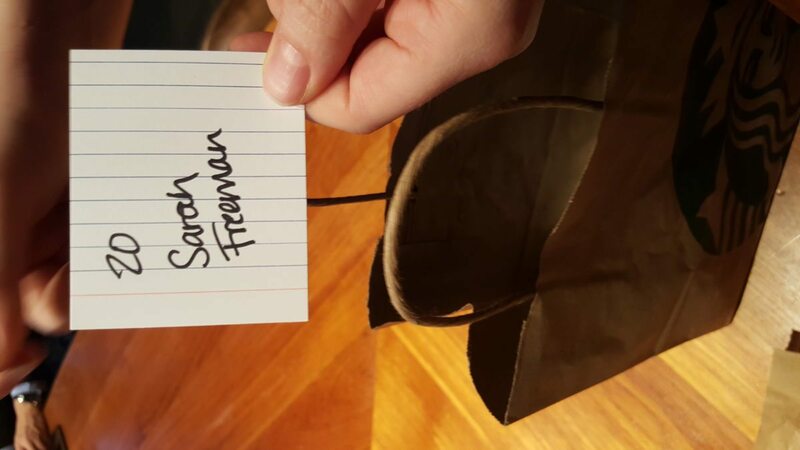 Calling Sarah Freeman! I’ve sent you an email already too!